2018 INFLATION BLOWOUT: CHINA AND THE UNITED STATES EMBARK ON INFRASTRUCTURE MEGAPLANS! For 9 years, since the credit crunch of 2008, central banks have been lowering interest rates, purchasing bonds, funneling trillions of dollars to commercial banks, and reassuring the public that they are targeting inflation, all while their true agenda has been to avoid a deflationary crisis. Now, the tables have turned. The economy is growing again, unemployment levels are low, stock markets are at all-time highs, and confidence levels are at a record high. Inflation is coming, and the commodity that surges FIRST is copper. The smartest company in mining, which has been called “the best business model on the planet,” has invested over $33M into a newly-listed, tiny copper/zinc producer. And right now, not a single analyst is even covering this stock. Using our historical data and computer systems, we’ve conducted thorough due diligence on this unique opportunity, and a potential 400% gain is in the cards this year! 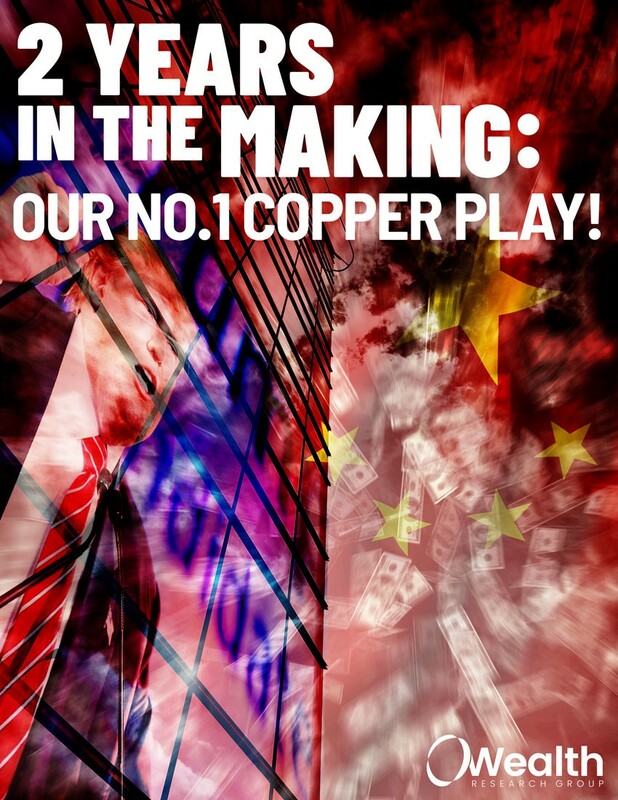 Since Wealth Research Group launched in early 2016, our team has sought to cover an undervalued copper deal – finally, we’ve found a potential mother lode. Download 2 Years in the Making: Our No. 1 Copper Play NOW!